Britton Deerfield middle school teacher Jessica Smith challenged her students to do a project that incorporated time and talent. It had to be centered on something they liked to do. 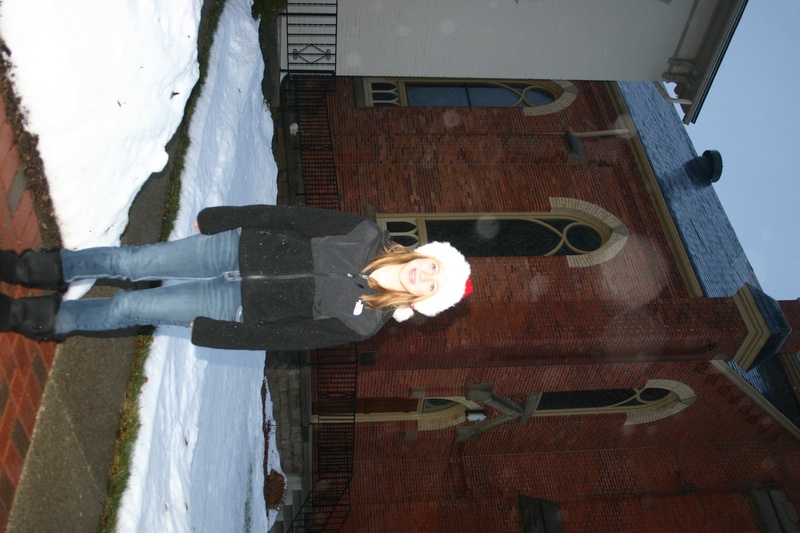 “I like to help people,” eighth-grader Madelynn Stamman, 13, said. Stamman organized a food drive within the middle school that aided the Deerfield Community Food Pantry at the St. Alphonsus Catholic Church, the Deerfield half of the Light of Christ Parish. Shortly before Thanksgiving a van completely packed with food after being loaded up by students was taken the few short blocks away to the Light of Christ Parish pantry. The Deerfield food pantry is not the only one that reaped the benefit of community involvement. The Blissfield Food Pantry serves the greater Blissfield area. Residents must live in Blissfield, Deerfield, Palmyra or Riga and be receiving food assistance through the Lenawee County Department of Human Services. The food pantry is housed at St. Paul’s Lutheran Church and is open on Thursdays. Those needing assistance should call the church before hand to schedule an appointment. Nancy and Curtis Olsen continue working at the St. Michael’s food pantry. The effort began in 2007 as part of their son Daniel’s Eagle Scout project. Their son is now a Michigan State University graduate and lives out of state but the food pantry he started continues to reach many people. The pantry is open on the last Saturday of every month as a rule. Just a few families came in the beginning. In November 103 families were assisted with food at St. Michael’s. For Melissa Burnor’s complete story on local food pantries, please see the Dec. 25, 2013, edition of The Advance.